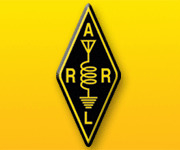 In case you missed the live web tour of W1AW, the Hiram Percy Maxim Station at ARRL Headquarters, you can now watch the 18 minute video on the ARRL website. On February 12, W1AW Station Manager Joe Carcia, NJ1Q, led Geoff Fox, K1GF, on a tour of the famed station. Al Petrunti, KA1TCH, of the New Day Group followed Carcia as he led Fox and viewers through the station, recording it for viewers to watch. You can view the video of the tour on the ARRL website (scroll to the bottom of the page).